Canada’s top young environmentalists have incredible stories to tell you and your community. We are excited to offer speaking engagements that can help educate and inspire friends, students, colleagues and peers about the trials and tribulations of working in the environmental sector and how we can work together to find solutions. Please submit form at bottom of page to request a speaking engagement. Topic: Social entrepreneurship, youth engagement in environmental activism, urban sustainability, environmental education, student leadership, international development, the United Nations Sustainable Development Goals. Brandon is an environmentalist from Toronto studying Environmental Policy at the University of Pennsylvania. Passionate about environmental education, Brandon founded the Toronto Coalition of EcoSchools in high school and has worked for both GreenLearning and EcoSpark. He has been recognized as a Top 25 Environmentalist Under 25, a 30 Under 30 Sustainability Leader, and a Top 30 Under 30 in Environmental Education. He’s been invited to fully-funded conferences in Norway, Denmark, China, Canada, the US and Egypt, has competed in the Hult Prize Regionals in Singapore, and has worked as a consultant for NGOs in Sri Lanka and the Gambia. Topic: Leadership, youth engagement, Break The Divide initiative, Sustainable Development Goals, Climate Change and Mental Health. Sukhmeet Singh Sachal is a 24-year-old humanitarian, public health advocate, and environmental advocate who believes in the recipe of intercultural dialogue in order to promote peace in the world. Sukhmeet’s commitment to the environment became evident when he travelled to the Arctic and lived in Inuvik, Northwest Territories for six months. While he was 200 km above the Arctic Circle, Sukhmeet taught biology, physics, and environmental sciences to Indigenous youth at a local high school. With a background in science, he explored the effects that climate change will have on human health. Upon meeting with Indigenous elders, Sukhmeet learned how climate change will impact the livelihood of the Inuit population living up North. When he listened to stories from these elders, he learned the true significance of how crucial it is to keep our environment in check. Because of this change in the livelihood of the Indigenous population living in the North, Sukhmeet explored the impact this would have on their mental health. Specifically, this would result in solastalgia or the feeling of being away from home even when you are at home. With mental health already being a major concern in the North, this would exacerbate the situation. Thus, Sukhmeet co-created Break The Divide with his brother, Abhayjeet, to connect youth in the North to youth in southern Canada to explore the topics of climate change and its effects on mental health. By personifying the effects of environmental degradation in the Arctic, Indigenous youth can teach other youth about these risks so that they can work together to think of solutions. For his great work, Sukhmeet was awarded a scholarship by the Vancouver Foundation and the Michaëlle Jean Foundation called the 2017 Fresh Voices Relationship with Indigenous People in Canada Award. Due to the success of Break The Divide, Sukhmeet was selected as one of 1,000 leaders from around the world to represent Canada and travel to Singapore for the UNLEASH United Nations Sustainable Development Goals Conference. Sukhmeet was also named Starfish Canada’s Top 25 Environmentalists Under 25 for 2018. Topic: I'd like to discuss the intersections between climate change and issues such as mental health, infrastructure, and politics through an emphasis on the factors that draw us towards understanding climate models. Through a story of my personal experiences with environmental education and learning about climate change firsthand in the Arctic, I want to share how the personalization of climate-related issues can create real change. Lucy is an award winning environmentalist and entrepreneur. She has over 8 years experience working in the hospitality industry, including owning a catering company. Lucy has an Honours Bachelors in Environmental Studies from the University of Toronto, and has studied environmental science in Australia and Ecuador. She has combined her passion for hospitality and the environment, to create Terus. Terus is a social enterprise dedicated to helping restaurants reduce waste and save money through sustainability consulting services. To date, Terus has helped divert over 104,300 pounds of waste from landfill while improving the bottom line by over $52,000. Her work has been featured in BlogTo, NOW Magazine, CBC, Gusto TV and Foodservice & Hospitality Magazine. Lucy was also named one of Canada's Top 25 Under 25 Environmentalists in 2017 and for 2018! Topic: Although countless youth in high school are immensely aware of detrimental environmental issues and are more than willing to act on them, many feel paralyzed to do so because taking action may seem impossible. As a recent high school graduate, I was painfully aware of feeling as if I wasn't able to make a difference because of my age. Learn how to harness the power of your youth to take steps to tackling issues such as plastic pollution as well as the importance of channeling your passions and frustrations to catalyze impactful change. TEDx youth speaker and recognized as a Top 25 Environmentalist under 25, Skye Noh is a 18 year old aspiring activist hailing from the Okanagan Valley in British Columbia. Skye is a co-founder of the social enterprise Mission Roots Cafe, and is also involved in numerous other youth-led initiatives in her community. 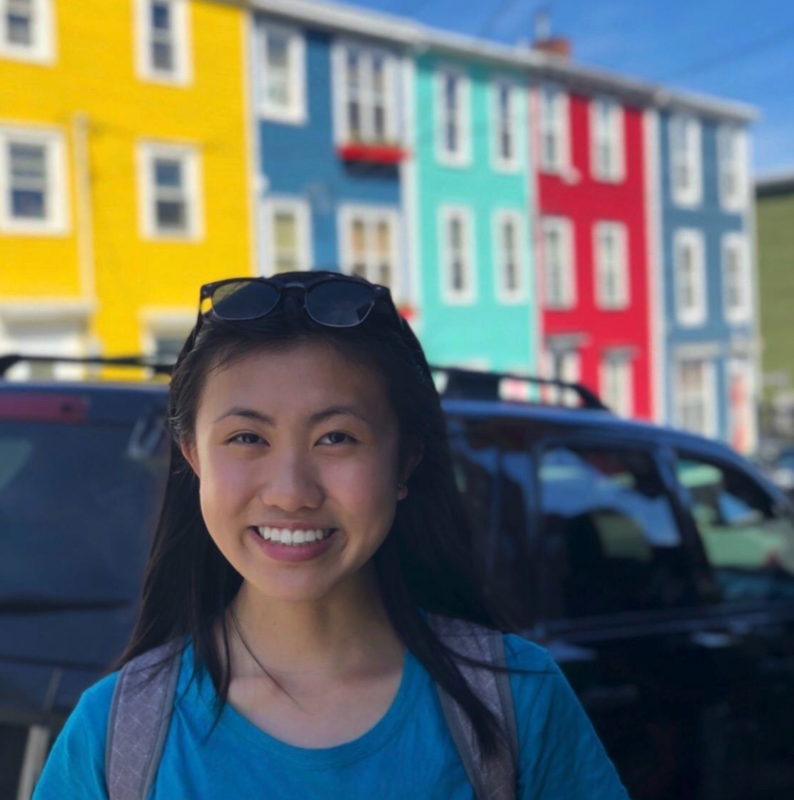 Skye is a first-year sustainable business student at Simon Fraser University and is driven by her passion for sustainability and her undying curiosity to find solutions to issues as inextricable as climate change. Topic: Devon will speak about the exciting journey and process of developing the KW Library of Things with the strong support from local community, businesses, schools, politicians, and the general public. Devon will talk about finding his passion, his people, and getting to work while discussing why all business needs to address social justice and environmental issues. Embedded in Devon's presentation is the idea that the strength of thinking and acting differently. Devon is a co-founder of the KW Library of Things – a space where community members borrow infrequently used items such as tools, kitchen items and camping equipment that also employs individuals facing barriers to employment. Through his work in creating this social enterprise, Devon was recognized as one of Canada’s Top 25 under 25 Environmentalists according to the Starfish Foundation and one of Canada’s Top 30 under 30 Sustainability Leaders according to Corporate Knights. Devon has a Master’s in Community Psychology, currently serves on the Board of Directors of Extend-A-Family Waterloo Region, and works at Humber College’s Sustainability Specialist. Stephanie is a student from Vancouver, British Columbia. She cares about sustainability because she feels nature teaches us a lot about who we are, and that it is important to take care of the earth we live on. She has been involved with the Vancouver School Board Sustainability Conference, Sprout-Save-Share, and other community activities, which have helped her learn about the issues impacting the planet and how she can do something about it. Eva Wu seeks to inspire change. She is a former Parks Canada Youth Ambassador, and is the co-founder of North in Focus, a charitable mental health awareness organization centred around the Canadian north and recipient of the Arctic Inspiration Prize Youth Category. Having worked with communities, done research, and engaged in policy surrounding environmental engagement and problem solving, Eva continues to be passionate about stimulating dialogue by sharing stories. Currently, she is completing her undergraduate degree at McGill University in environmental science and management. Topic: The themes that my work have centered on are focused in two areas. The first, is youth engagement, informal environmental education, through the creation of education campaigns and organizations. The second, are technical lenses on Canada's action on the environment, environmental policy and economics, and biodiversity and conservation. Denise Lee is a porpoise enthusiast, mediocre guitarist and eager environmentalist from Vancouver, BC. Currently completing a double major in Economics and Environmental Science at the University of Toronto, she has worked extensively in the green sector despite only being 19 years of age. 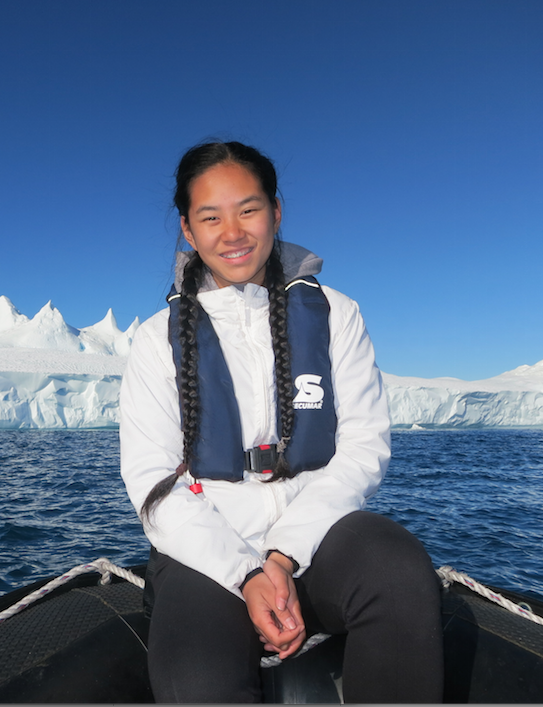 She co-founded Our Poles Our Planet, a national campaign with conferences taking place in four cities across Canada, dedicated to ensuring the sustainability of the polar regions after venturing to the Arctic herself. Denise chaired the Vancouver School Board Sustainability Conference in 2017 as well, working with school districts in BC to encourage cross-collaborative efforts from a local level. She has contributed to international policy research in the Amazon, species population studies with the Porpoise Conservation Society, and named one of Canada’s Top 25 Under 25 Environmentalists in 2017, and recently, a 2018 Top 30 Under 30 Environmental Educator. We would like the speaker to present via an online medium (Zoom, Skype, etc. - $50). We have another idea and would like to discuss it with The Starfish Canada team. Thank you for your inquiry. We will email you within 24 hours about your speaking engagement.